Open Enrollment – What, When, Why? The yearly period when people can enroll in a health insurance plan. 2016 Open Enrollment ended January 31, 2016. Open Enrollment for 2017 runs from November 1, 2016 to January 31, 2017. You can apply and enroll in Medicaid or the Children's Health Insurance Program (CHIP) any time of year. What is the cost to have assistance from a Broker? There is no extra cost to utilize the assistance of a broker. We are more than happy to assist with the process. Insurance premiums are based on the benefits and utilization of the policy. On the individual market in Colorado, this has been out of sync with reality since 2014 due to an element of Obamacare (The Affordable Care Act) that made profitable companies pay companies that were not profitable. This ends in 2017. Unlimited Mental Health Visits for Autistic Children. a. On most plans, these are subject to the deductible, but since it is “covered” it would count toward your out of pocket maximum. Due to this, EVERY PLAN in Colorado must provide these benefits in 2017. The ironic (and infuriating) part about this is that the best-selling Gold plan was one you and I paid for with our tax dollars. It was a plan that offered tremendous benefits to government employees that set the bar. Now the premiums have gone up to accommodate the additional benefits. For tax year 2016, the penalty will rise to 2.5% of your total household adjusted gross income, or $695 per adult and $347.50 per child, to a maximum of $2,085. For tax year 2017 and beyond, the percentage option will remain at 2.5%, but the flat fee will be adjusted for inflation. If you have coverage AVAILABLE to you through an employer, or a spouse’s employer, you are NOT eligible for a Tax Credit. Is My Doctor and Hospital Covered? There will be THREE insurance companies in Northern Colorado offering “Compliant” health plans. They are Kaiser, Anthem, and Colorado Choice. Colorado Choice will have the most robust formulary on the market. Anthem and Kaiser’s are nearly identical. Open Enrollment - How Much Will It Cost? Open Enrollment - How Can A Broker Help? Bottom line – we are here to help you navigate your options and it will not cost you a single cent. Snyder Insurance is the Official Enrollment Center for Connect For Health Colorado™. We are conveniently located in Loveland, CO, and you're welcome to visit our office to walk through your options. We are happy to discuss your Open Enrollment questions on the phone if its more convenient, or if you would have to drive the long way around from Estes Park. In January, there will only be three insurance companies remaining on the individual market in Northern Colorado. They are all H.M.O.’s. We are here to help you understand what this means for you and your family. We know how APTC’s work. An APTC is an Advance Premium Tax Credit that is available to people who qualify with a certain income levels. We can help you find out if you qualify for a tax credit, and will walk you through the process of taking care of everything. Something most people don't know is that each insurance company has a different formula for determining pricing prescription drugs. We understand that each individual and family have different health insurance needs and budgetary concerns. We've done the hard work to know ALL the particulars and can help you find out which company may be best for you and your personal situation. Open Enrollment - How Do I Apply? We know that the entire process is new to most of us, so in the case you haven't applied before, we would recommend working with a broker, or someone you trust whom is familiar with all the Open Enrollment moving parts, changes, and updates in this year's offerings. 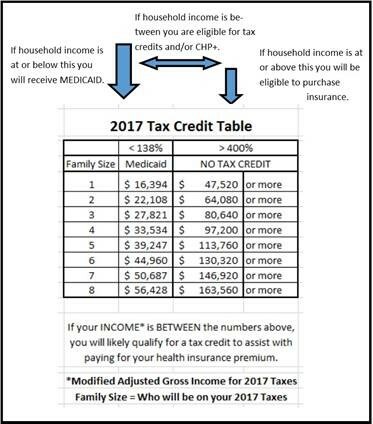 In order to apply without a Tax Credit is super simple. All you need is personal information and method of payment. These applications can be taken over the phone with ease. Username and Password for Connect For Health (if you already have an account). If you don’t remember your password, go to The Connect For Health Colorado™ website and click on Get Help – use the Online Chat and have them reset your password. Once you are logged into your account, click on “Get Help” and then “Broker.” Search for Gail Snyder and “Authorize” as your broker. Once your eligibility is determined, the application can be taken over the phone. Remember, there is no cost for you to enlist our assistance, but you'll find our help can potentially save you time and headaches - as well as decrease your overall expenses by helping you get the correct plan for your situation. Bob and Gail are people you can count on. We speak in plain and simple terms, not insurance lingo- so that you know how your policy will work for you. You have questions – and you should! Let us help you save time, prevent headaches and find the best policy for your situation. There are many changes to your health insurance options for 2017, and if we don’t have the answers, we will find them for you. We recognize that there is no “one size fits all” approach to open enrollment, so we encourage you to find someone who can take the time to help you navigate these turbulent waters. We’ve helped so many health insurance shoppers since the Affordable Care Act was enacted that we’ve been named the Official Health Insurance Enrollment Center for Loveland by Connect for Health – Colorado. We will take the time to answer your questions, then guide you toward the best health insurance options for your situation. Does a lower premium mean higher costs down the road? HSA or FSA? What is the difference? Is it still called Obamacare? Read the Frequently Asked Questions Above, or Call us today!